The main event of UFC 236 this weekend will feature an interim Lightweight title fight between Max Holloway and Dustin Poirier. 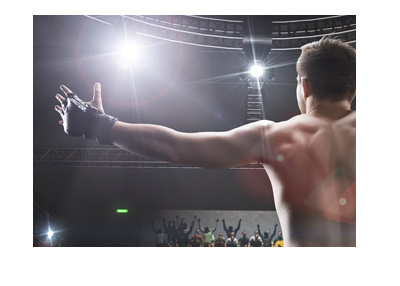 The winner of this battle will very likely battle current Lightweight champion Khabib Nurmagomedov later in the year. This will be Max Holloway's second attempt to fight in the Lightweight division. The current Featherweight champion was originally slated to battle Khabib Nurmagomedov last year, though was forced to pull out of the fight after some weight cutting issues. This resulted in Nurmagomedov defeating Al Iaquinta for the interim title. Max Holloway is going to be an absolute handful for Dustin Poirier. Holloway is likely best known for his unbelievable pace and his ability to maintain this pace over the course of a full fight. The longer that this fight goes, the more it likely plays into the hands of Holloway and his insane cardio. Poirier is certainly going to bring it to Holloway and has shown an ability to beat fighters who feature strong striking attacks. Poirier is in the midst of a three fight winning streak that includes wins over Justin Gaethje, Anthony Pettis and Eddie Alvarez, so he is certainly capable of defeating skilled strikers. 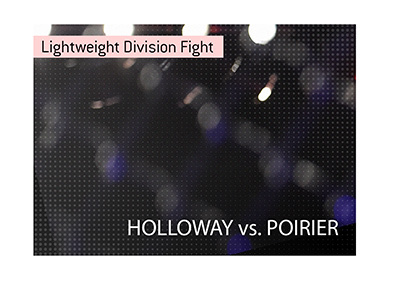 Holloway, however, will pose a different challenge for Poirier, as Holloway combines high level striking with an insane output. Most fighters wilt in the face of the Holloway attack, so it will be interesting to see how Poirier approaches this fight. Holloway's game plan will likely be the same as it always is - overwhelm his opponent with an incredible amount of striking. If it fight goes into the deeper waters of the championship rounds, Poirier is likely going to be in big trouble. Poirier's game plan will be to slow the fight down - I wouldn't be surprised if Poirier tries to clinch with Holloway and try to inflict damage using dirty boxing. 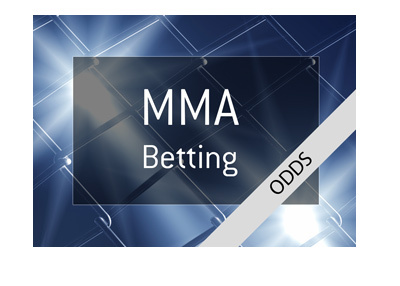 There is a tremendous amount on the line for both fighters on Saturday night, as the winner will likely lock up a lucrative title unification fight against Khabib Nurmagomedov later in the year. In addition, the winner greatly increases their chances of fighting Conor McGregor in 2020.